Great! The German kids rolled all over Argentina in a totally unexpected 4-nil win. Some of the football was lovely to watch, too. Neat, one-touch passes, particularly in the first quarter of an hour; and certainly as theywere buoyed by Thomas Müller’s second minute opening goal. There was a spring to the Germans’ steps, too; but that is hardly surprising because of the team’s youthfulness. They brought one of the youngest teams to South Africa. While the superstars looked tired and jaded from their lengthy club seasons, the German kids looked fresh and vibrant. They outfought – and out-thought – the seasoned Argentineans in a game that the latter were expected to win. The kids are doing alright! But can they actually win it? When they flew out to South Africa, with so many Under-21 players brought in almost as an afterthought by the coach Joachim Loew, even the German press did not think their team stood much of a chance. Suddenly, after that brilliant win over Argentina, the Germans are among the hot favorites. Now, flash back to that other quarterfinal between the Dutch and the mighty Brazilians. The Dutch were on a 23-game unbeaten streak before that encounter, but were still considered underdogs against the superstar-studded Brazilian team. When Felipe Melo’s long through pass from deep in midfield found Robinho totally unmarked, the formerly stingy Dutch defense suddenly looked amateurish. For a while after that goal, it looked like the Dutch would be over-run by a rampant Brazil. Sometimes, a game can be a tale of two halves. From being in almost total control in the first half, the Brazilians lost their grip on the game and began to look edgy after Julio Cesar’s mistake and Melo’s own goal. There was almost an inevitability to the second – and winning – Dutch goal. The Brazilians had lost their concentration; and frustration boiled over as Melo stamped his studs on Arjen Robben’s hamstring for a fully-deserved red card. For eliminating the tournament’s previous hottest favorites, the Dutch are also now, themselves, heavily fancied to win the title. Unlike the youthful Germans, they have so much more experience among their ranks. All that seasoning may just come in handy as the tournament heads towards the homestretch. Compared to the Dutch and the Germans, the two other semi-finalists – Spain and Uruguay – have not exactly set the tournament alight. The Spaniards, arriving as European champions, finished their opening match in ignominy. They passed the Swiss to the death – but were still beaten 1-0. History weighs heavily against the Spaniards. 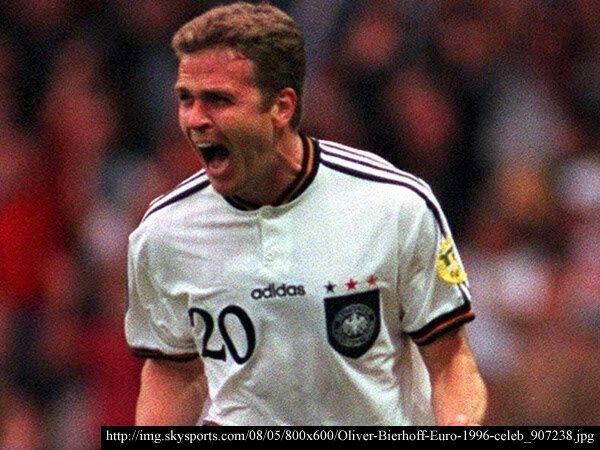 Only one country – West Germany – had ever won the World Cup after having won the European Championship two years before. The Germans achieved that on home soil, a luxury the Spaniards do not enjoy. Spanish teams had never – up until this year – progressed beyond the quarter-final stage of previous World Cups. Like the English – who, at least, have one World Cup win under their belts – the Spaniards had tended to lose their cojones in World Cup campaigns. Consecutive 1-0 wins over a stale Portuguese side in the Round of 16 and then Paraguay in the quarterfinals have brought Spain its first-ever World Cup semi-final adventure. David Villa has been getting all the headlines; and all the talk about Fernando Torres not scoring has been negative. That was how things were, likewise, in Austria when the Spaniards won the European Championship. Villa did all the dirty work leading to the finals; but Torres won it for Spain in the championship game. Ask any Liverpool fan; Torres is a big-match winner. All but ignored – except, of course, by their own countrymen – are the Uruguayans. Who would have expected them to reach the semi-finals? They got into the World Cup through the back door, anyway; and were fortunate – perhaps – to have landed in a relatively weaker group than other teams. Previous to this year, the last time they reached the semis was 1970 – that would make it 40 years ago, and Pelé was still generally regarded as the world’s best player. For a South American team, they were pitifully short of ideas against the South Koreans and Ghana in the earlier knockout stages. It took a penalty shootout to eliminate the latter. History rather tends to look at Uruguay in a negative light. They had been branded anything from animals to savages. Many of their players had been ill-tempered and they also tended to approach games with utter negativity. It is a team remembered for its red cards and horrible disciplinary record. They are behaving themselves – somewhat – this time; and that is, perhaps, helping their cause. I doubt that there are many people placing their bets on Uruguay, but the fact of the matter is, they are winning – albeit, winning ugly! Let us take a look now at a bit of history to see if – indeed – the Uruguayans stand a chance. 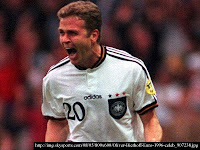 First, prior to 2002, World Cups were held only in the European and American continents. It was more or less taken for granted that a South American team would win in the Americas and a European team would do the same in Europe. The Brazilian team of 1958 – which included a 17-year old Pelé, was the only one to buck that trend. Otherwise, the pattern was more or less constant. When FIFA decided to break the Europe-America hosting stranglehold, Korea and Japan were the first beneficiaries in 2002. France arrived as the World Champions, having won the World Cup four years previously on home soil; and, of course, were bundled out right in the first round. 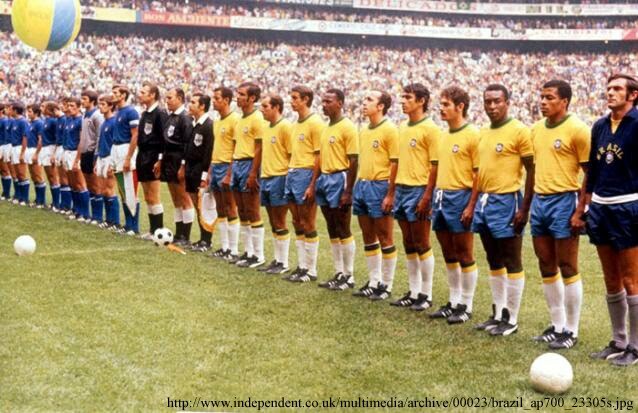 That tournament was won by Brazil, in a year when – had FIFA not decided to change the hosting pattern – it would have been held in the Americas. Four years later, the tournament returned to Europe. In Germany, the Italians were crowned Champions of the World. Although the 2010 tournament is being held in South Africa, following the historical trending, this is supposed to be a South American championship year. It certainly looked that way when Uruguay, Argentina, Paraguay and Brazil all topped their respective qualifying groups. From that heap, Argentina and Brazil definitely looked like top contenders. Both – along with Paraguay – have already been bundled out of the tournament. Uruguay is the only South American team still surviving. What chances are there, then, of Uruguay actually pulling a rabbit out of the hat playing ugly, pragmatic football? I refuse to incriminate myself by actually committing to an answer. Statistically, Uruguay has a 25% chance of winning – opposed to a 75% European probability. Let us, however, take yet another trip down memory lane. Although Pelé’s Samba Kings won the World Cup in 1970 with their exhilarating brand of attacking football, subsequent winners of the tournament had based their successes on pragmatism rather than on expansive, attractive football. That meant having an uncompromising defense; not conceding many goals; and hitting opponents fast and decisively on the break. Even the Brazilians – who had a dry spell from 1970 to 1994 – had to reinvent themselves by adopting a more pragmatic European approach. All-out attacking just does not win World Cups anymore. It is resilience and – if necessary – playing ugly that brings results. Entering the semi-finals, Holland had conceded a mere 3 goals. Uruguay, Spain and Germany had all conceded 2 – although it may be argued that Germany actually conceded 3 because Frank Lampard’s non-goal was perfectly legitimate. It goes without saying that all four semi-finalists got this far by having stingy defenses. On the basis of stinginess alone, dare we predict a Uruguay-Spain final? Add in a touch of resilience – i.e. the ability to eke out a result without ever reaching the heights – dare the Uruguayans actually win this? Now, sprinkle the scenario with a drop of history and – this being a South American year – does it actually mean that the Uruguayans should actually be the favorites instead of being branded as dark-horses? It has been a really crazy World Cup, when you come to think about it. Traditions and reputations have been hurled out the window. It will have to take a very brave man to make any sort of prediction – just don’t count out Uruguay just yet!